Online forms are essential business tools, no matter the industry or niche you’re in. From giving people a way to easily reach you to using forms internally to improve processes, online forms can be used in a variety of ways. And that when you also integrate with a powerful business tool like Salesforce, your web forms can prove to be even more valuable tools. 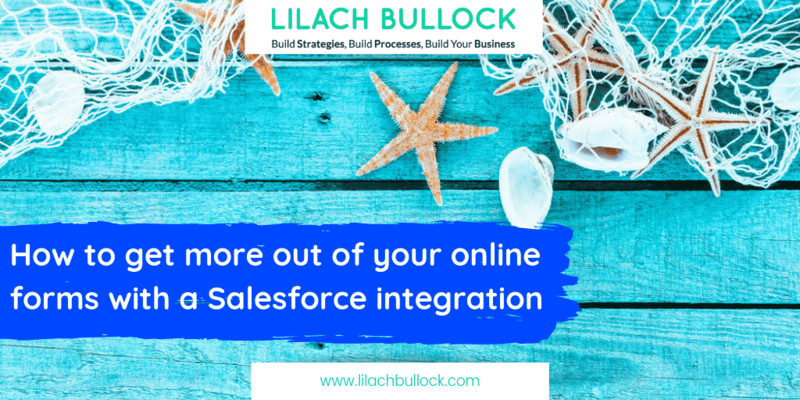 In this blog post, I’m going to show you how to get more out of your online forms with a Salesforce integration. 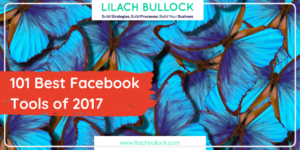 If you have a business that you’re promoting online in any way – your website or blog, on social media, etc. – online forms are essential to your success. Contact forms: you need to give people an easy way to contact you in an easy, convenient way (without crowding your email inbox either!) 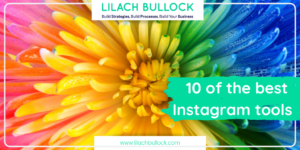 while also asking for the information you need from them to help you learn more about the people who are interested in your products or services. Another big benefit or using online forms? The reporting! 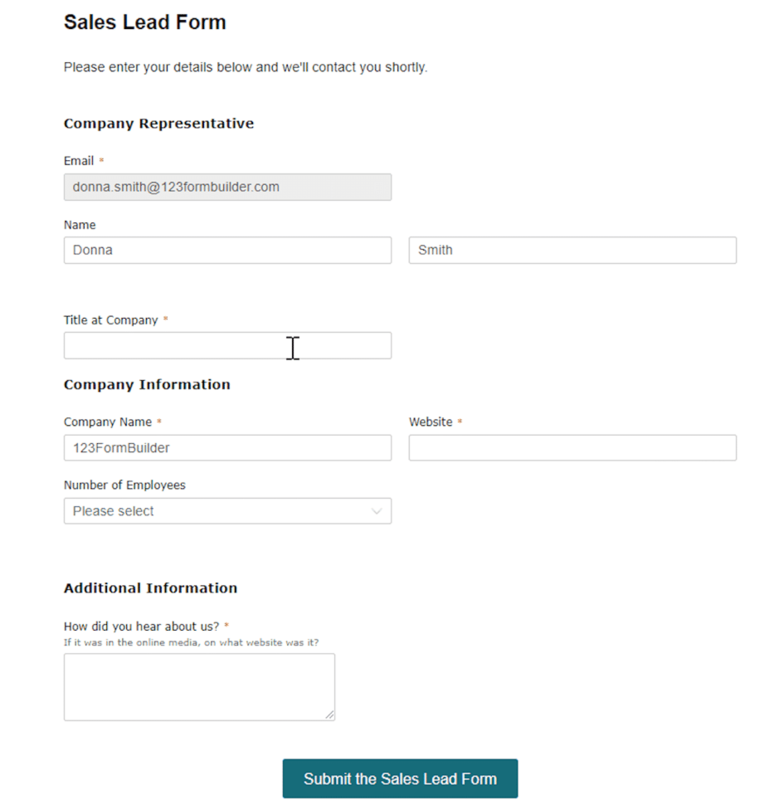 A good online form builder will track all of your form submissions so that you can make better decisions on how to improve conversion rates and, plus, track all of this data generated by the people completing your forms. For example, you can track data such as your form abandonment rates (which can then show you how to improve your forms to boost the number of submissions), see which forms work and which don’t, and easily interpret the results of your quizzes and surveys. 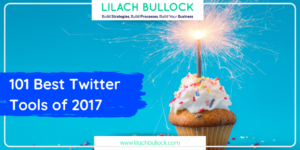 123FormBuilder & Salesforce integration: why should you care? If you follow my blog, you might’ve already read my review of 123FormBuilder; but they’ve recently announced a partnership with Salesforce through their AppExchange that’s gotten me very excited. And if you use Salesforce for your business, then you’re probably going to love hearing about this integration too. There are dozens of different ways that you can use web forms to your advantage, especially depending on your industry. But then the Salesforce integration comes in to help you get even more value out of your webs forms, such as improved accuracy and dynamic prefilling of forms. But most importantly, this integration allows you to both create and update the records of any Salesforce object (both standard and custom objects). 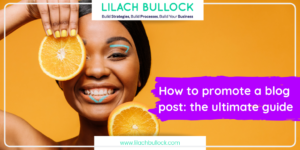 Before I get into the specifics of this union, let me show you first what 123FormBuilder can do for your business and website. The name really says it all – it’s a form builder. And the 123 at the beginning suggests speed and efficiency; which, I’m happy to say, is definitely true because it’s a very quick and easy-to-use platform and you can easily create web forms in just a few minutes. 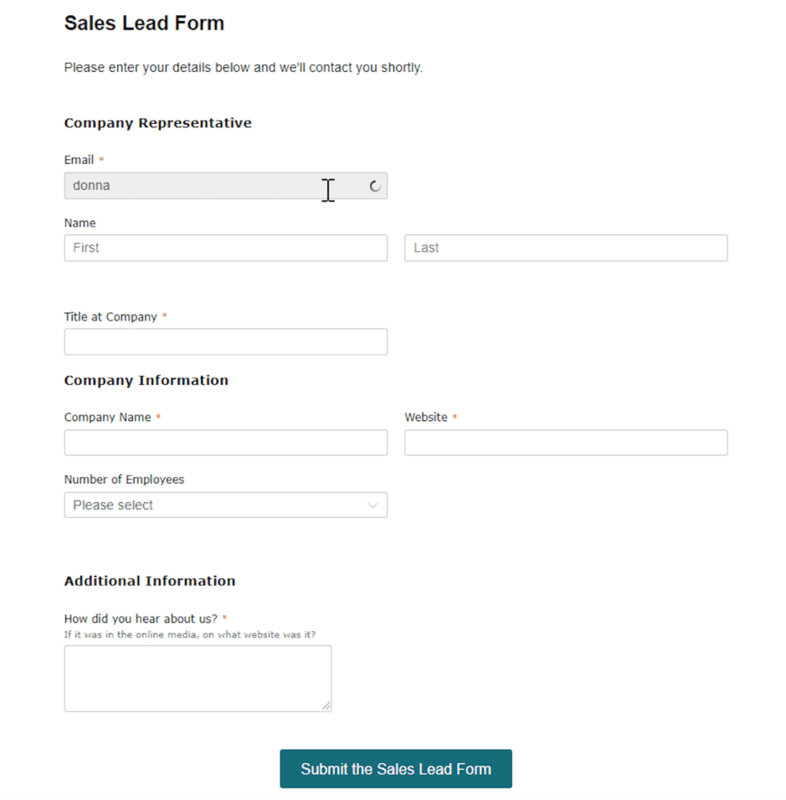 First of all, you have a huge selection of different types of forms that you can create; for example, you can create a web form for your contact page, a registration form for an event, a sales leads form to collect data on your leads, an entry form for contests to help you build up engagement, a booking and appointment form, and even surveys and questionnaires. 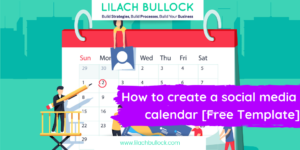 And although the drag-and-drop builder is very easy to use, you’re probably going to find you won’t need to use it that much considering all of the free form templates that are available to use. 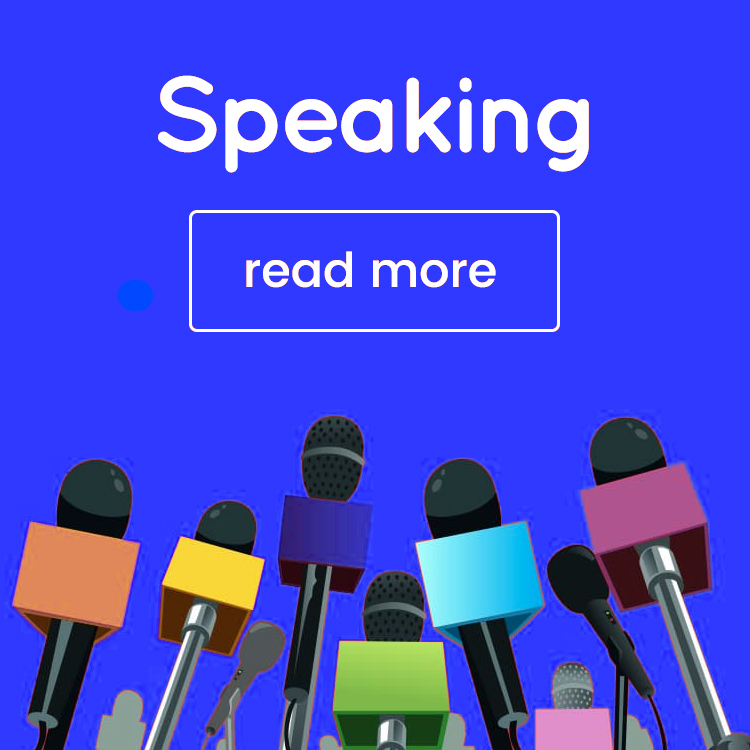 And not to mention, as you might notice above, there are also plenty of template options for very specific types of businesses and jobs, like call centres, yoga classes, spas, all kinds of different sports, and much, much more. 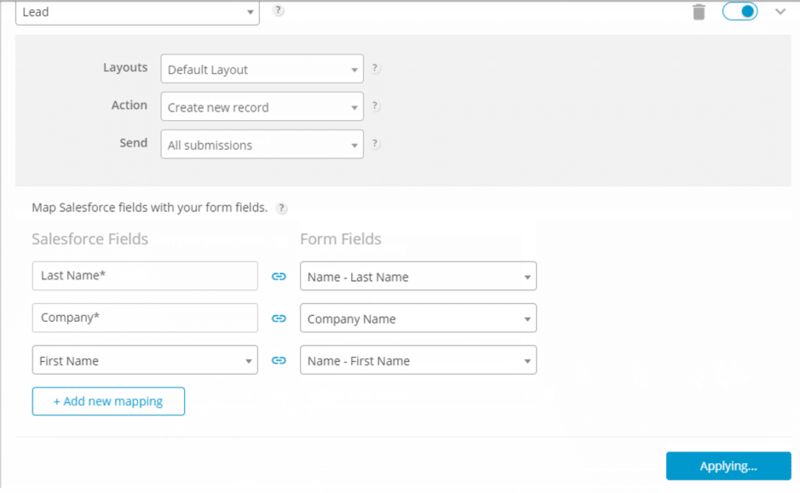 To customize your form, all you really need to do is drag the field you want from the left-hand side of the screen towards where you want to place them in the form. That’s it! Plus, you can also move fields around by dragging and dropping them where you want them, and easily resize fields to your liking. You can change themes (and add custom CSS too), add images, change colours and background, and customize the design of any element on your form. 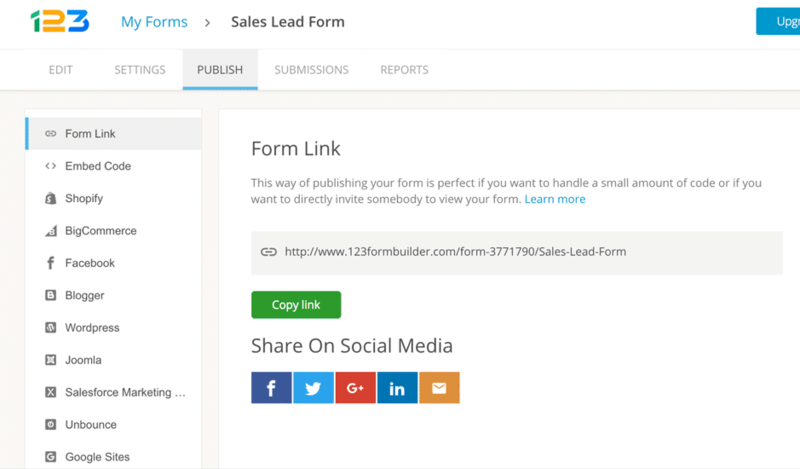 As well as embed it only website or webpage, publish on Shopify or BigCommerce, Blogger or WordPress (there’s a plugin 123FormBuilder plugin available too) and, of course, you can also publish on Salesforce Marketing. 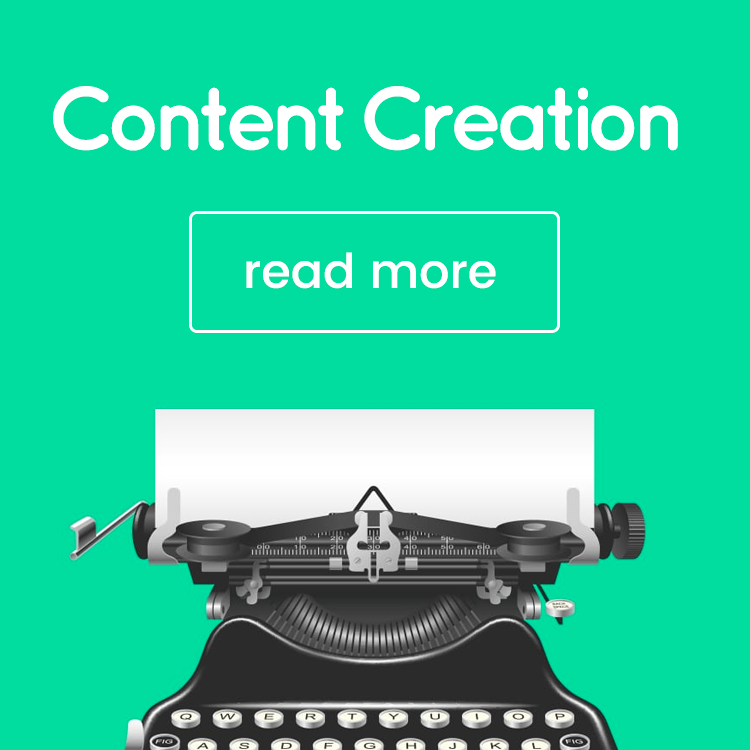 So, you already what you can create with 123FormBuilder and how to use it. Where exactly does Salesforce come in? If you have a Salesforce account and use it for your business, you can easily set up this integration within the Salesforce AppExchange Store, here. And once you do, you’ll be able to improve functionality across the board; most notably, you’ll be able to send collected to Salesforce, automatically – to any standard (Lead, Account, Opportunity, Case, Task, and more) or custom Salesforce object (the Salesforce objects that you create). Or, in easier terms, you can automatically send any data you collect from web forms directly to the standard or custom objects you want to. This is a highly secure process as they use strong data encryptions so you can rest assured that your data is always safe even when it’s sent to Salesforce. One of the really cool features you get thanks to this integration is dynamic prefill; what this means is, they have real-time access to data, on the move, so that the form can automatically be filled based on a certain key identified. 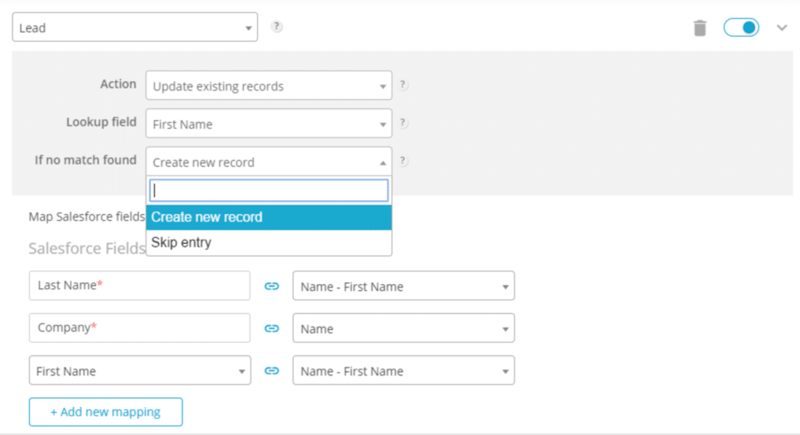 So basically, after you complete a field in a web form, the tool will look into existing account records so that it can pull this data from Salesforce in real time; thus saving you time, and most importantly improving accuracy, for example when updating records on Salesforce accounts. Another useful feature is that you can also use offline forms so you can collect (and store) data while offline if you’re not connected at that time. Once you do connect to a network again, the data will automatically be synced. And as I mentioned before, you can send or update data to any Salesforce object, standard or custom, which helps you collect valuable data automatically and thus saving time and improving business results. And basically send collected data to your Salesforce objects in real time; as you can see in the screenshot above, you can add as many fields as you want by clicking on “add new mapping”. As I was saying earlier, you can also do the same thing with custom objects. When you go to the custom objects category, you’ll be able to see all of your custom Salesforce object and start mapping the fields just like earlier with standard objects. Once you’ve selected the action (to update existing records, in this case) you need to select the what the “lookup” field will be. This way, whenever the lookup field value matched one of your previous entries in Salesforce, the entry will be automatically updated. If it doesn’t match anything, you have a couple different options: that new entry will be registered as a new record or you can skip the entry entirely so the tool won’t create any new entries for it. It’s no secret I love 123FormBuilder all on its own: it’s super easy and intuitive to use, you create pretty much any type of web form that you can think of, and it has an impressive selection of form templates to make creation even easier. 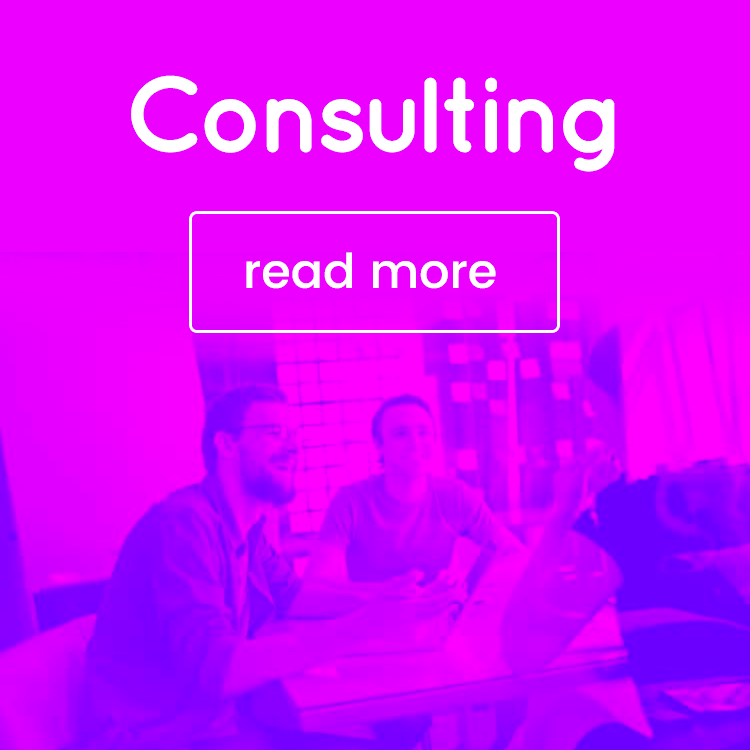 But then you also bring in Salesforce and there is so much more that you can do: creating a better user experience for the user or respondent, while also making your job easier and helping you get more out of both your CRM tool and your web forms.